The Atelier series has been around since 1997 which is pretty crazy considering that next year is going to be a huge milestone for the series but it’s also great to see how the series evolved over the time and Atelier Sophie: The Alchemist of The Mysterious Book is no exception. 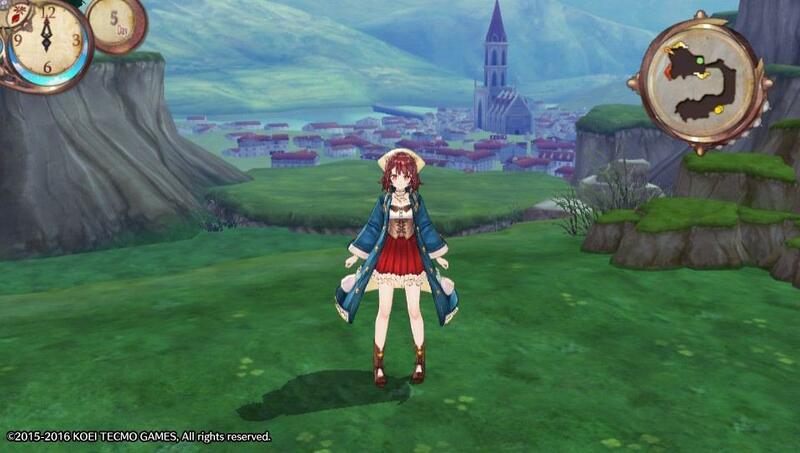 Atelier Sophie is the first one on PS4 and the 2nd title to remove the time restrictions to the overall quest and introduces so much in the game that some bigger features didn’t happen until the 17 hour mark and I’m on the 30 hour mark with tons to do but more on that later. 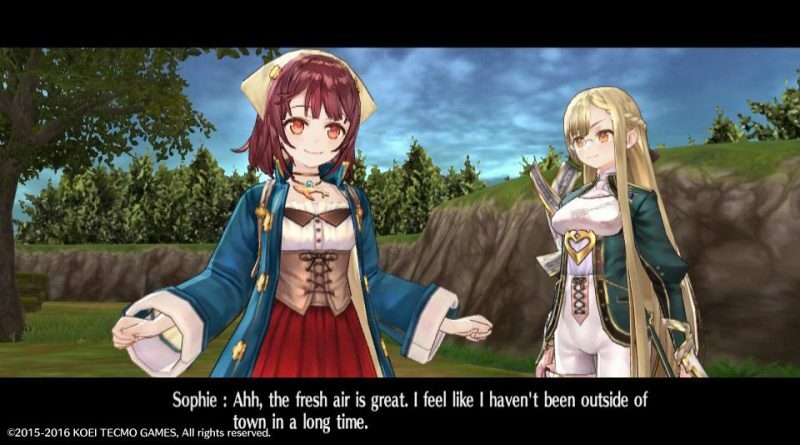 You play as Sophie, an inexperienced Atelier user who is following in her Grandma’s footsteps but she mostly just messes up and makes things explode. 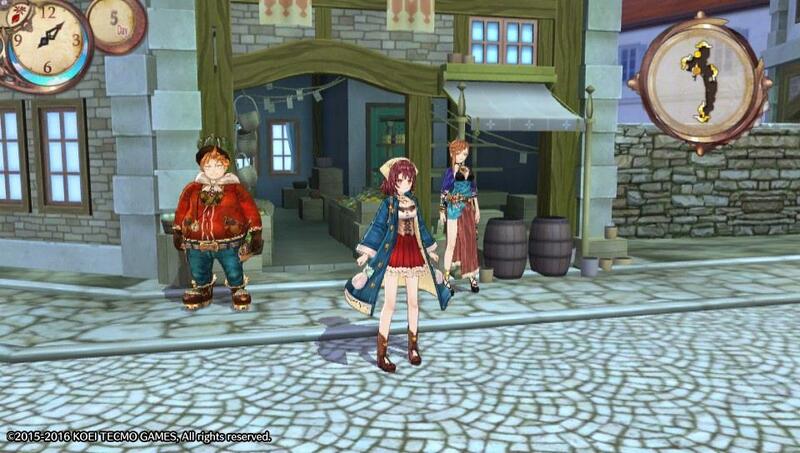 The story continues from there in similar Atelier fashion with a wide cast of characters and two being familiar to fans. 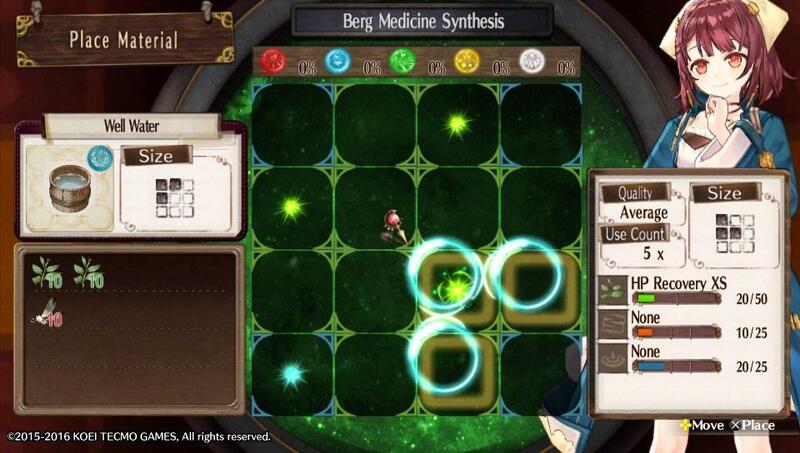 The way to synthesize this go around is to read the hints in the recipe book and go with it being beating a monster a certain way or the impact of weather so everything is a chance to learn something new. 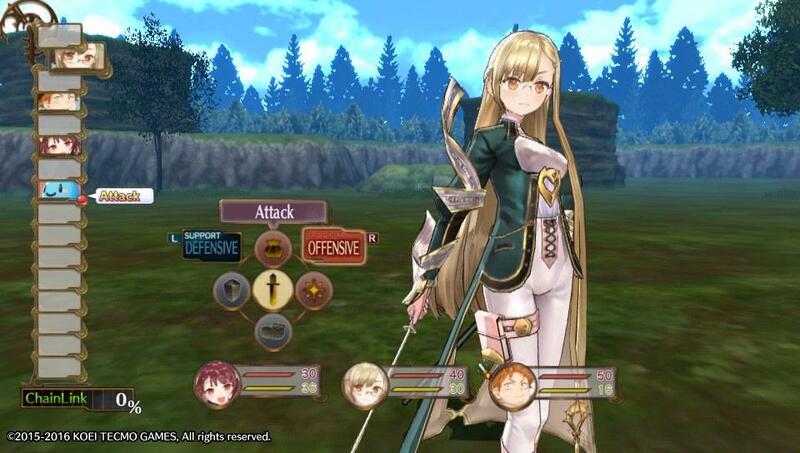 The battle system is pretty much on par with Atelier Escha though with a new user interface and the graphics have been redone and are more colorful and bright compared to the last title. 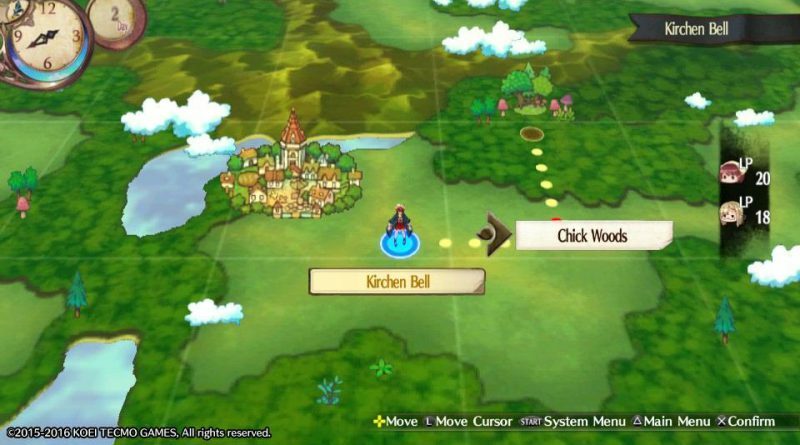 The map style has a sort of pop up book vibe to it and is pretty big with some places taking 2 days to travel to or more and each one has a distinct look so you never see the same place twice. 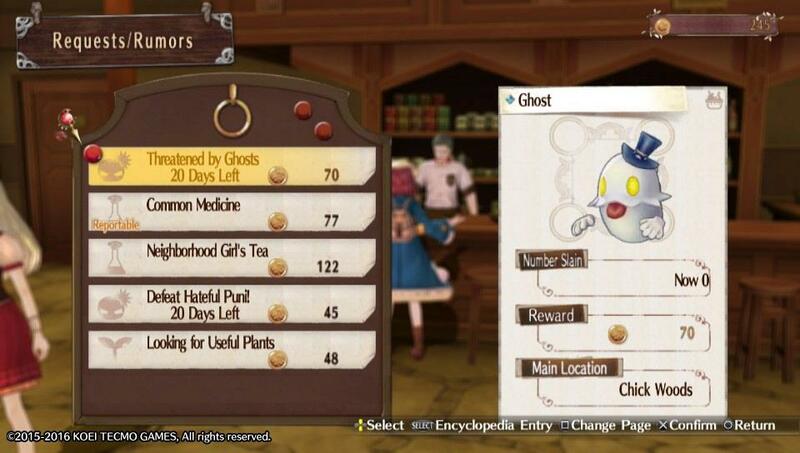 Missions are done by going to the cafe and later on you can even get promotion quests to increase your rank. 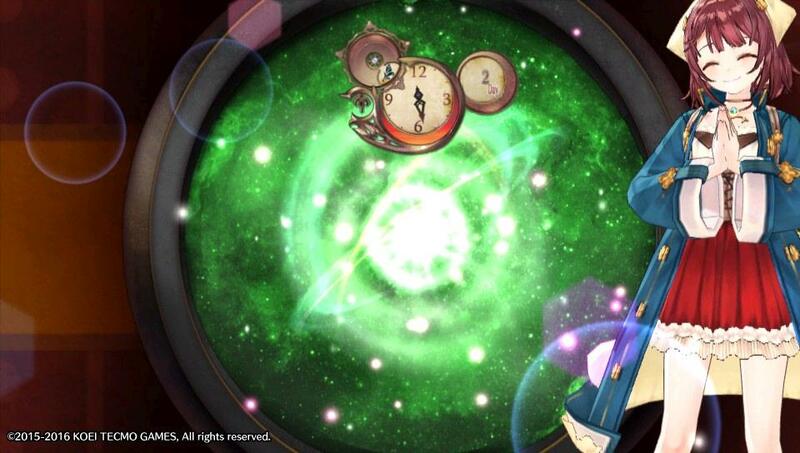 Rumors are back but are centered giving you tips or giving you hard bosses or higher ranked items showing up. 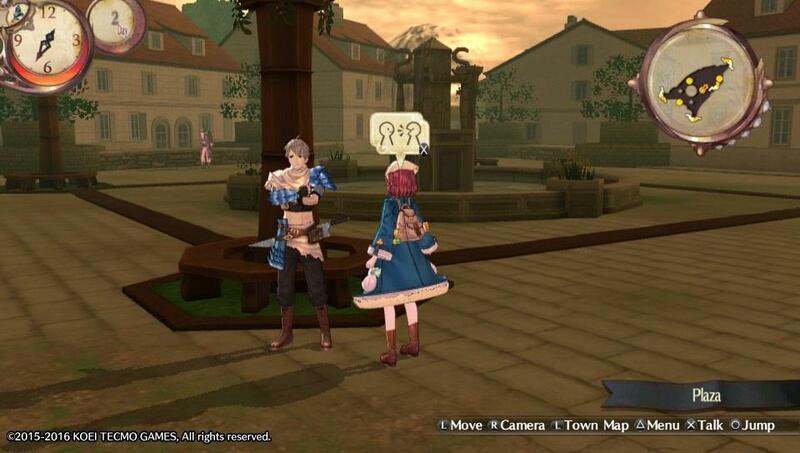 Sophie is alone in her atelier but she does have the help of a book named Plachta who is a really well done character and one of my favorites in this game with Leon being another one. Everybody is so well written and the voice actors sound excellent but Plachta has her moments but I don’t want to give anything away as you should experience it for yourself. 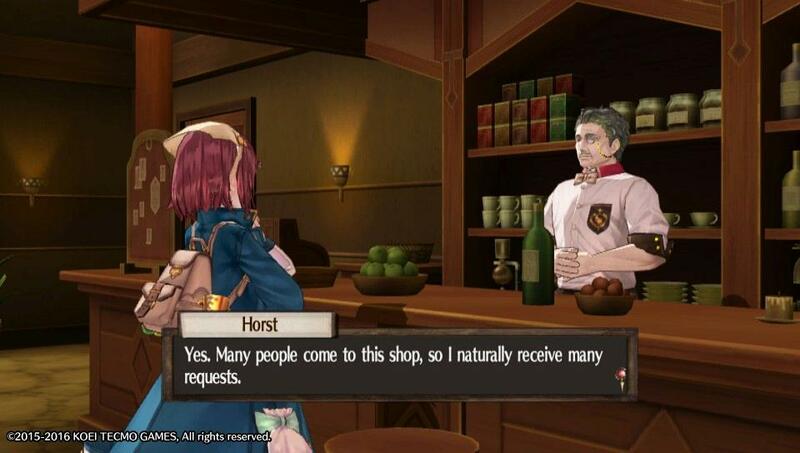 Playing on despair mode gives you a lot of money which is very much needed in the end game for weapon crafting as well as for armor crafting. 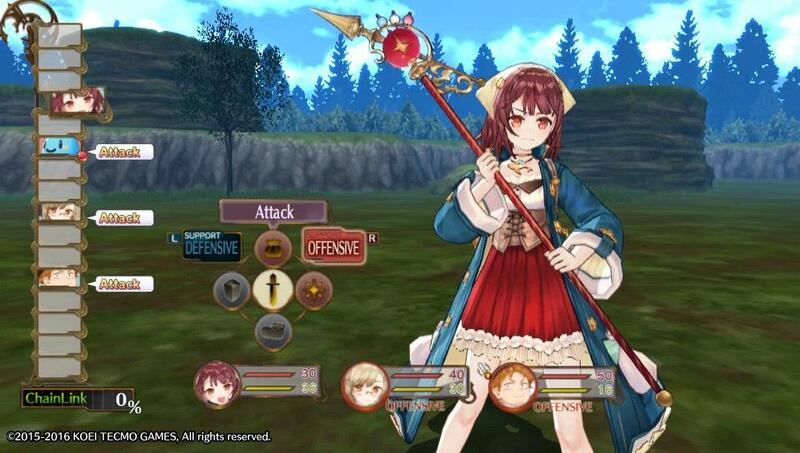 And yes Atelier Sophie does have a villain and it is done well but you would know who by the 2nd hour or so. 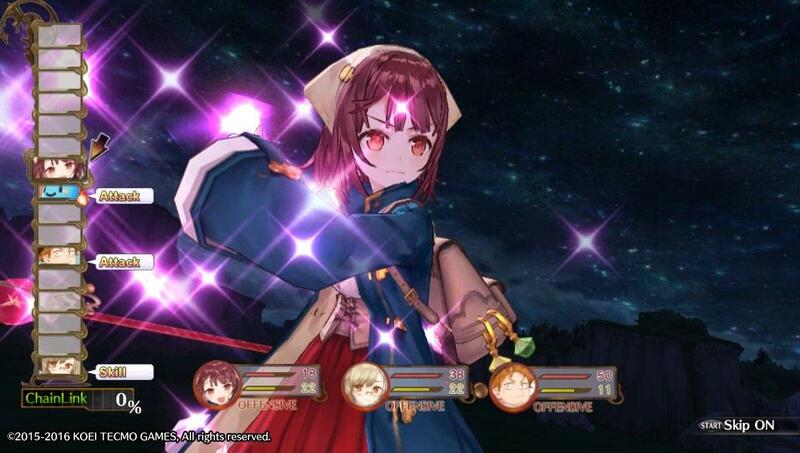 The atelier is a little tough to use but thankfully you get better ateliers later in the game that give you bigger points to the items and make crafting better but I do miss Escha’s atelier system a little more. Also some hints are very vague like using a certain defense skill. 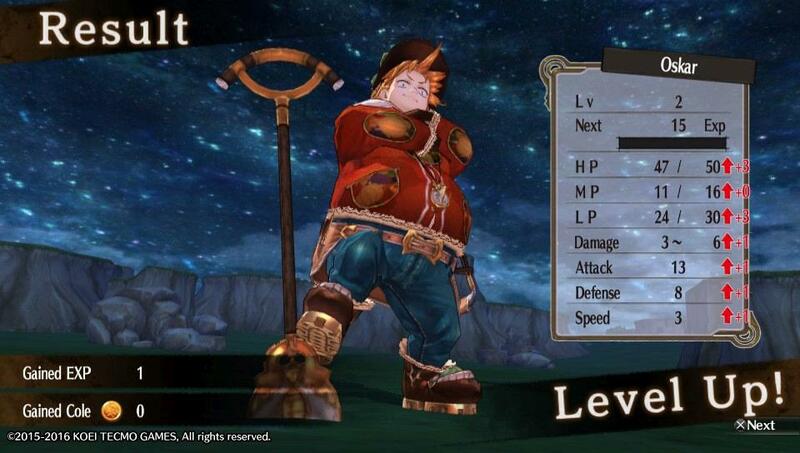 My last little nitpick is the item level was a little hard to see when mixing but nothing that hurts the game by any of these and are just small issues. 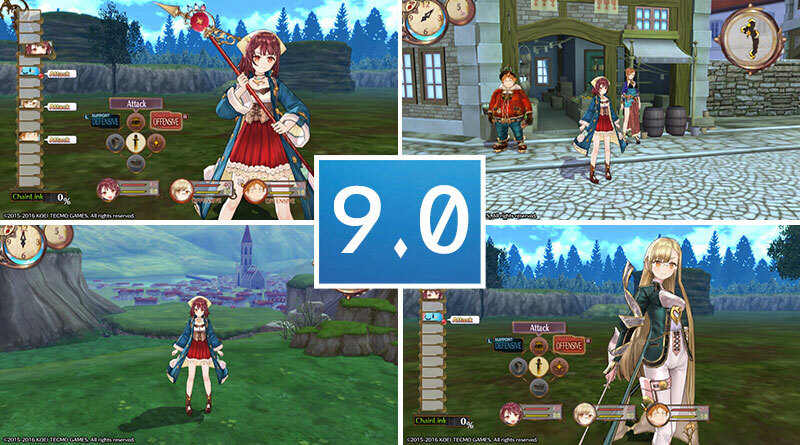 Overall, Atelier Sophie: The Alchemist of The Mysterious Book is wonderfully done and I’m amazed how far the games have changed over the years. 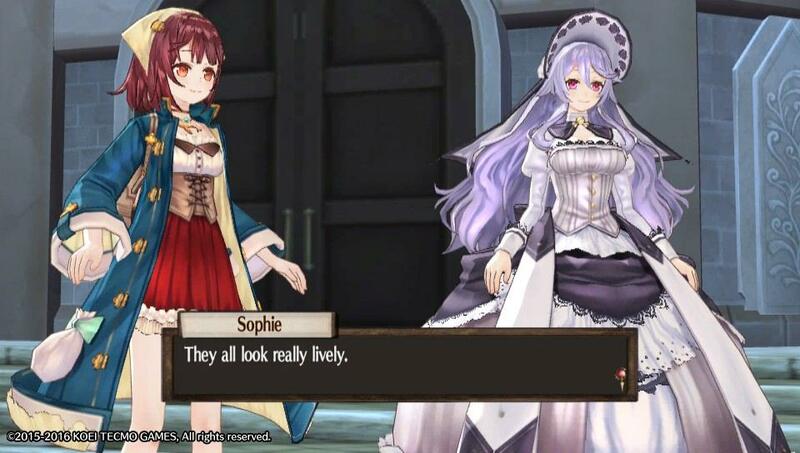 Atelier Sophie remains a solid title and is one of the best in the Atelier series. Either you are a fan or new to the series it’s worth to pick this up.